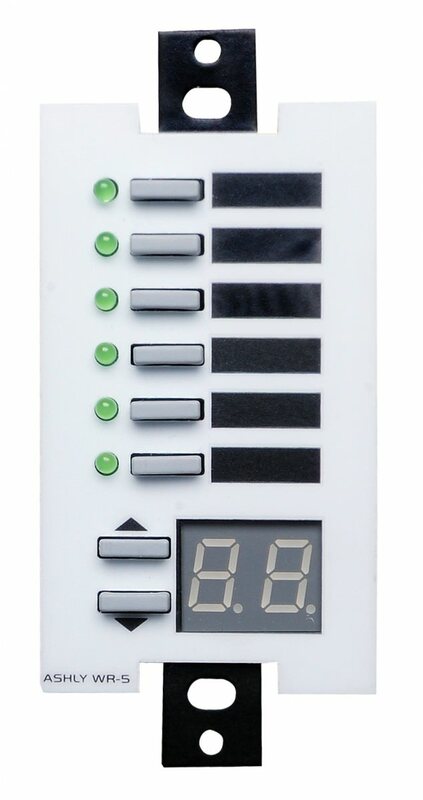 WR-1 : dual potentiometer remote volume control for DC level control. 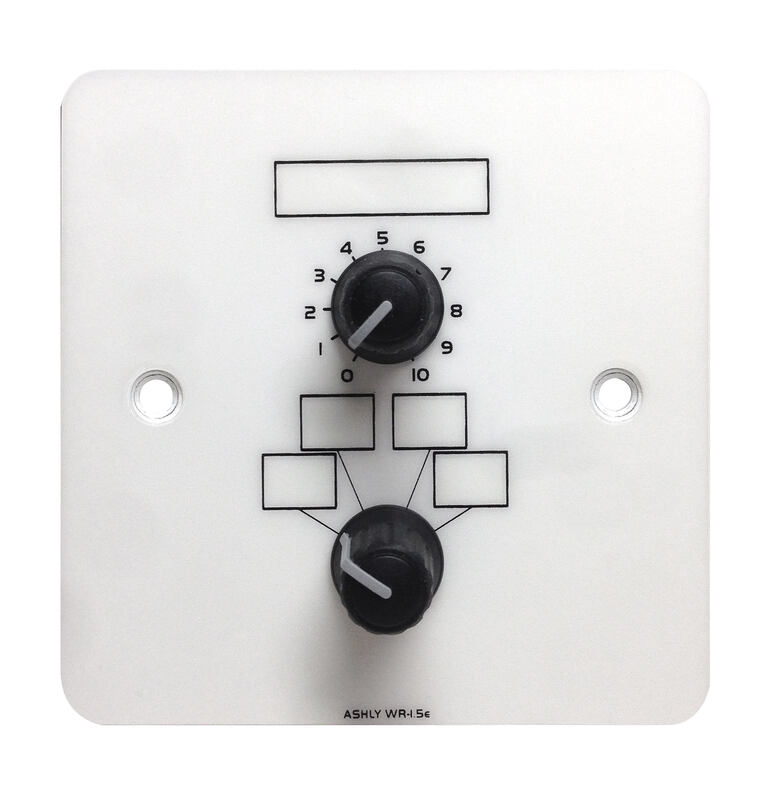 WR-1.5 : single potentiometer plus a 4-position rotary preset recall switch. 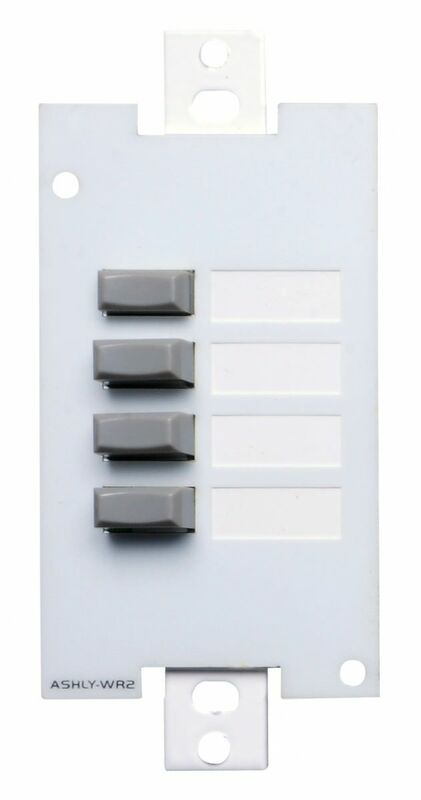 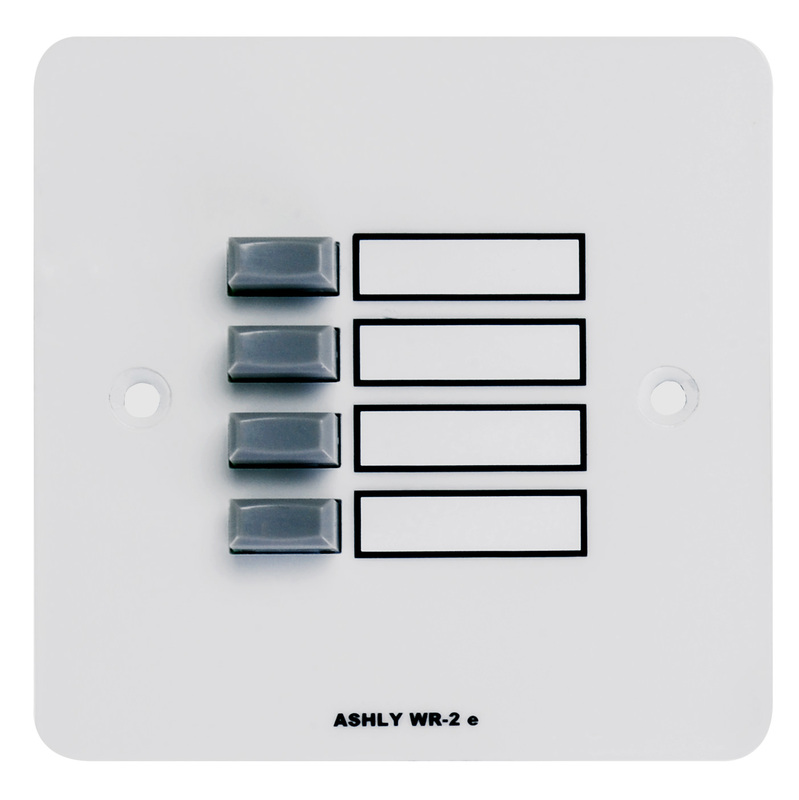 WR-2 : allows selection of one of four presets via interlocking pushbutton switches. 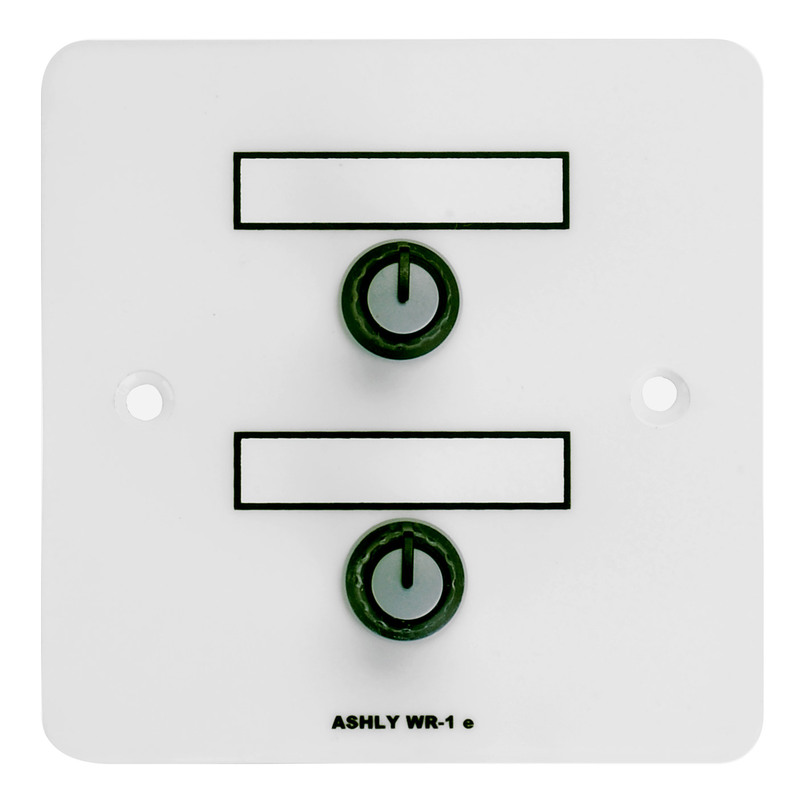 WR-5 : programmable remote control for Ashly amps and processors with a serial data connector. 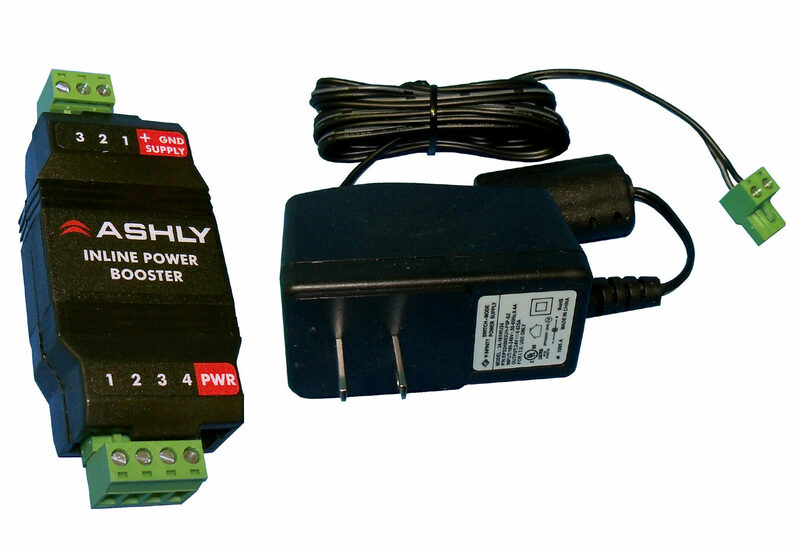 neWR-5 : programmable Ethernet based remote control unit for Ashly networked products. 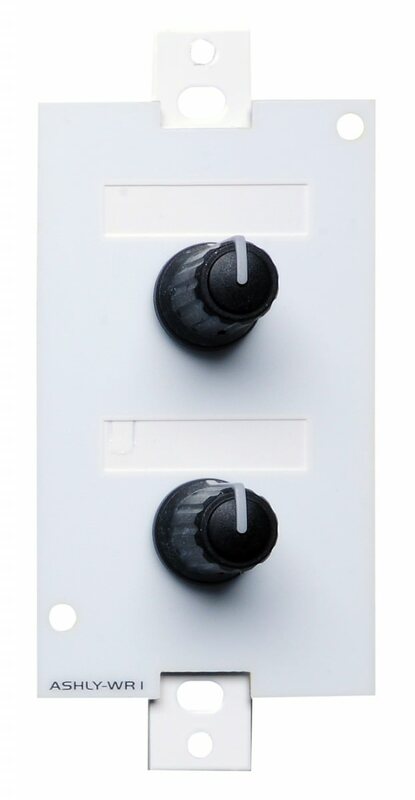 Connecting and powering the neWR-5 is done using standard Cat-5 cable and an IEEE 802.3af Power over Ethernet (PoE) source. 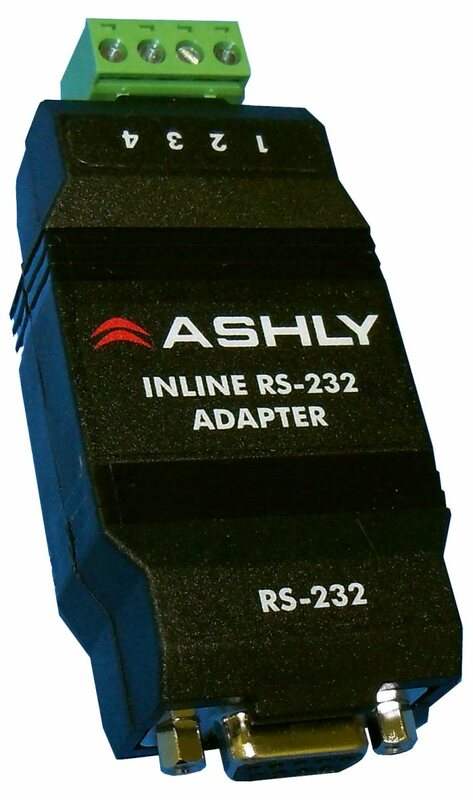 INA-1 Inline Adaptor : allows Ashly products without an RS-232 port, but with a serial data connector to connect to RS-232 control systems.